Kick-off of the travel season! Lycée Louis vicat (Souillac) visited Lycée Zmichowska (Warsaw). Overview of this event. 8 students and 2 teachers from Lycée Louis Vicat (Souillac) had the privilege to be warmly welcomed one week by their twins of the Lycée Zmichowska (Warsaw) from the 10th to the 16th of February 2018. This was the first official travel totally financed by the M&L Erasmus + project as LTTA meeting (Learning Teaching Training Activities). 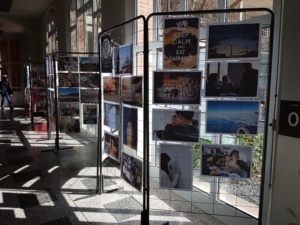 After 5 months of intense virtual collaboration on their shared research topics, the pupils from these schools had finally the opportunity to meet physically. And what a meeting! They spent nearly 100% of their time together in tourism activities, M&L research meetings, meals, evening in the host families… They got to know each other very fast. The core activity of the project, mathematics research, has given satisfactory results in terms of communication, exchanges of skills and methods and results formalisation by the students. All the twinned groups worked more than 6 hours in M&L seminars very seriously and went further on their shared conclusions. Some of them even finalised their presentations dedicated to the congress and started to write their common publications. A very nice way for them to realise how much learning foreign languages is crucial for their lives and professional careers to come! No doubt that we have seen the birth of a group as it was really difficult to know which student was from Souillac or Warsaw by the end of the week. Apart from the accents of course… The beginning of a rich 3-years adventure! Open House Day of Arago high school! 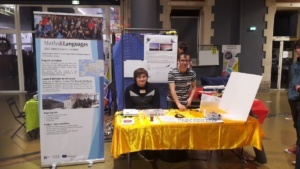 The M&L students from Lycée Arago (Perpignan, France) presented the M&L Erasmus+ project, their research and their trip to meet their Romanian twins in Buzău (Romania) during their school’s Open House Day on the 10th of February. This event gathered around 200 people, future students and their families. 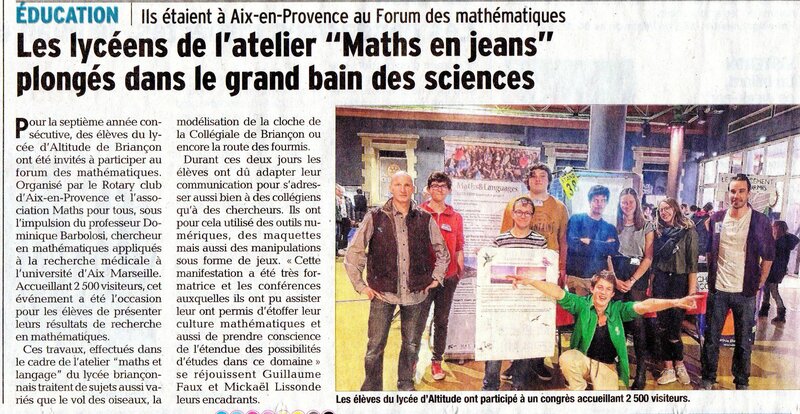 The meeting between Briançon and Cluj-Napoca students is now taking place! 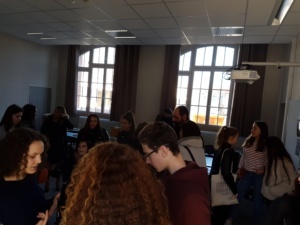 The LTTA (Learning Teaching Training Activities) meeting between the Briançon and Cluj-Napoca teams is now taking place in the Lycée d’Altitude of Briançon (France). 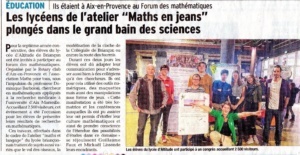 The programme includes M&L research seminars, immersion in French lessons and tourism before a joint travel to the Lyon MATh.en.JEANS Congress (22nd to 24th of March). According to the latest information available, everything is running smoothly! 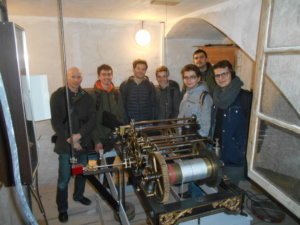 Romanian and French students, visiting the Collégiale of Briançon with their teachers.